BOSTON–New research suggests that excess sugar—especially the fructose in sugary drinks—might damage your brain. 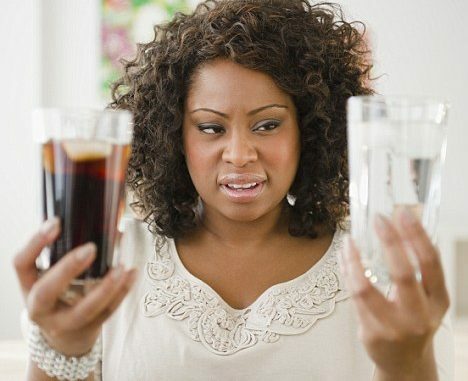 Researchers using data from the Framingham Heart Study (FHS) found that people who drink sugary beverages frequently are more likely to have poorer memory, smaller overall brain volume, and a significantly smaller hippocampus—an area of the brain important for learning and memory. Researchers are quick to point out that these findings, which appear separately in the journalsAlzheimer’s & Dementia and Stroke, demonstrate correlation but not cause-and-effect. While researchers caution against over-consuming either diet soda or sugary drinks, more research is needed to determine how—or if—these drinks actually damage the brain, and how much damage may be caused by underlying vascular disease or diabetes. “Maybe good old-fashioned water is something we need to get used to,” adds Seshadri, who is senior author of both papers. Excess sugar has long been associated with cardiovascular and metabolic diseases like obesity, heart disease, and type 2 diabetes, but little is known about its long-term effects on the human brain, says Matthew Pase, a fellow in the university’s neurology department, an investigator at the FHS, and lead author of both papers.